Constructed in 1888 by the Masons, the Bayview Opera House Ruth Williams Memorial Theatre (known affectionately as "the Opera House") is located at 4705 Third Street in the heart of the Bayview Hunters Point district - San Francisco's most ethnically diverse community. The Opera House is San Francisco's oldest theater and a registered historical landmark. However, the Opera House is more than just a building. Operated as a community cultural and arts center by the nonprofit Bayview Opera House, Inc., with funding from the San Francisco Arts Commission and other public and private donations, Bayview Opera House is a vital community institution for Bayview residents and holds a significant place in the history and culture of Bayview Hunters Point. Originally named the South San Francisco Opera House, still the name engraved over the historic front entrance, the building became the Bayview Opera House when South San Francisco became its own incorporated city. In 1995 the building was renamed per resolution of the San Francisco Board of Supervisors, in honor of playwright, director, actress and activist, Ruth Williams, the "Bayview Opera House Ruth Williams Memorial Theatre". Our historic home, the Bayview Opera House Ruth Williams Memorial Theatre, re-opened to the public on September 17, 2016. 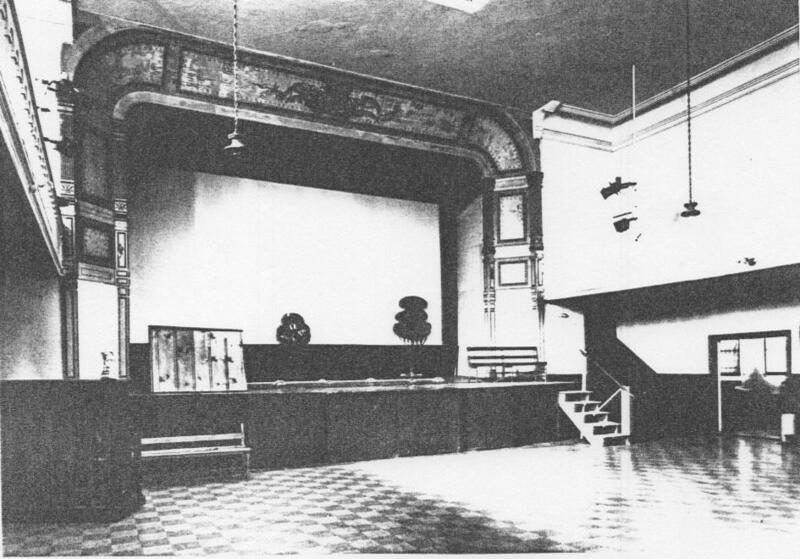 It all started with the restoration of the original wood floor of the auditorium in the summer 2010, with grant funding provided by the National Park Service's Save America's Treasures program. Previously covered by layers of plywood, asbestos and linoleum, the 75% intact 1888 Douglas Fir floor emerged in all its glory and led to the acceptance of the building into the the National Register of Historic Places. This fact in turn provided additional historic protection, and, most importantly, made it clear to everyone that this building deserved more than a makeshift fix of some significant problems, including a structurally weakened exterior wall, a sagging balcony and the glaring lack of compliance with the requirements of the Americans with Disablilities Act. The owner of the building, the San Francisco Arts Commission, was able to raise the additional funds to do it right. They hired renowned project manager Deborah Frieden, who previously oversaw the construction of the De Young Museum. Also on board came San Francisco architectural firm TEF, and Oakland-based landscape architect and artist Walter Hood. After a series of community meetings soliciting input, the architectural teams came up with the stunningly modern and beautiful outdoor design we enjoy today, and the interior improvements to the structure remained invisible, as they should be for a protected building. A new plaza at 3rd & Newcomb exposes the grand entrance from the street, showing off the new modern walkway connecting the entrance to the porch. On the large amphitheatre wooden stage artists can entertain audiences on the seats, the lawn, or milling about the walkways. New permanent outdoor seating makes outdoor events a snap. Imported from Germany, these chairs are good-looking, robust and comfortable. A lawn was planted where once there was only concrete. Children can play, families have a picnic and watch a performance. The historic facade was not accented from the 3rd Street view. The area where the rocks are was part of the fenced area. The old concrete stage hosted many community performers, but the new wooden stage is a much better fit especially for dancers. Donated benches from Ghirardelli Square were well-loved and now grace the artist building at the Hunters Point Shipyard. Tents made classrooms for Dare 2 Dream summer camp. Part of the parking lot has been replaced by a lawn. Landscape architect and artist Walter Hood conceived the radical transformation from concrete and stairs everywhere to a beautiful park-like landscape that provides a welcome respite for Bayview residents and visitors alike. Walter worked closely with Karla Johnson at the San Francisco Mayor's Office on Disability to ensure the new surroundings met all ADA standards. 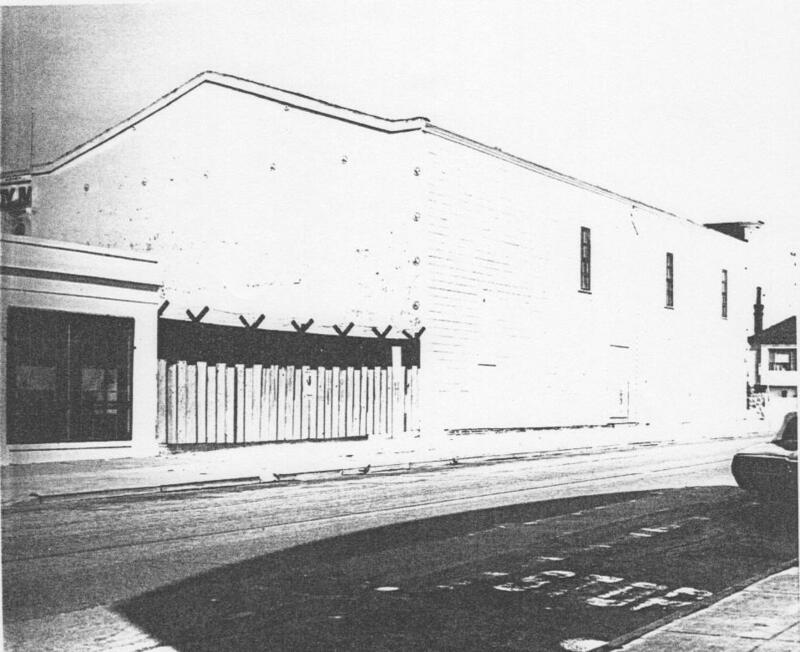 The new design called for removal of much of the old brick wall, more attractive fencing and the removal of many trees that hid the Opera House from the street view.